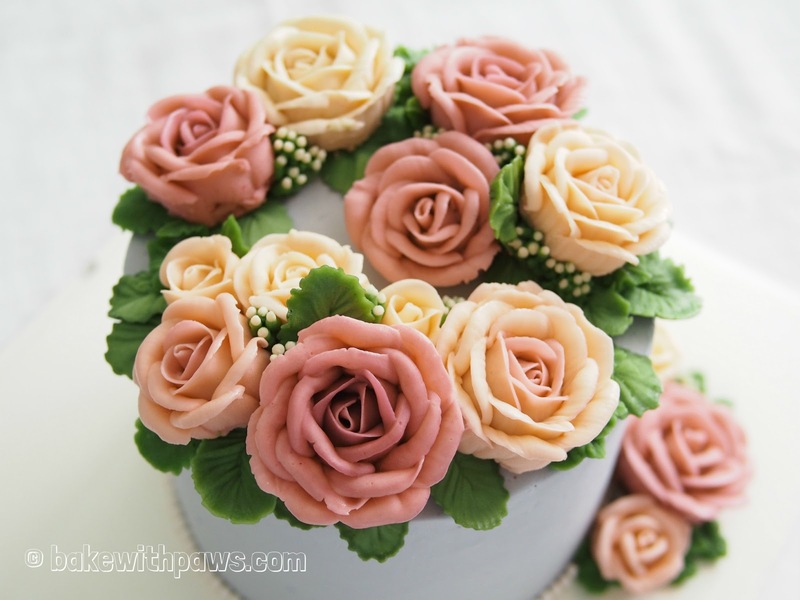 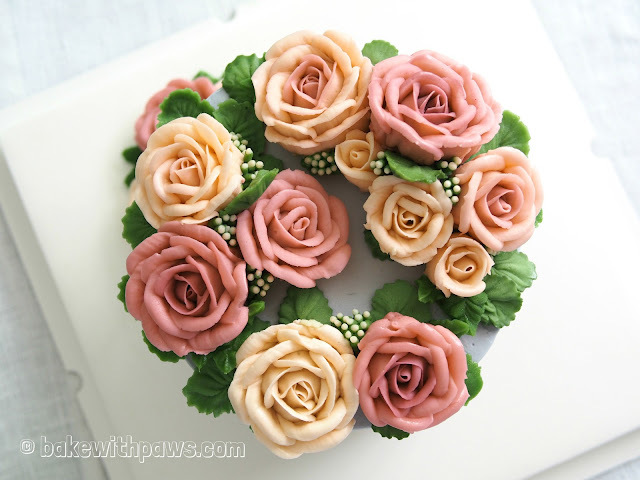 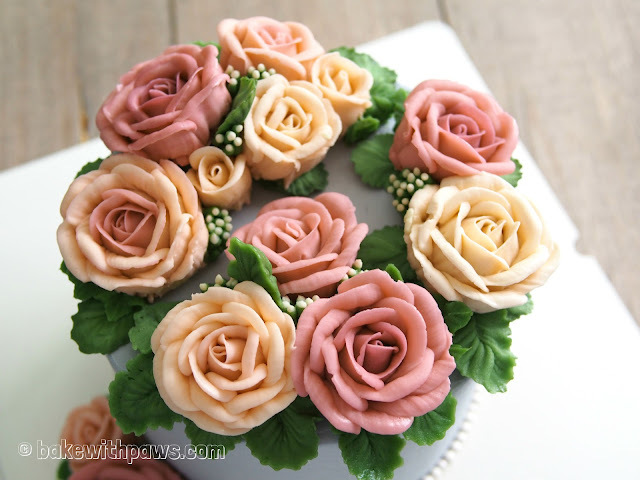 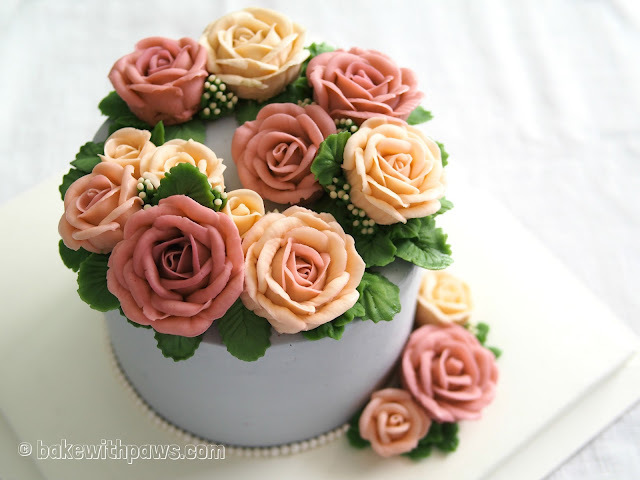 This is a pastel colours roses buttercream flower cake that was ordered by my girlfriend for her mum's birthday. 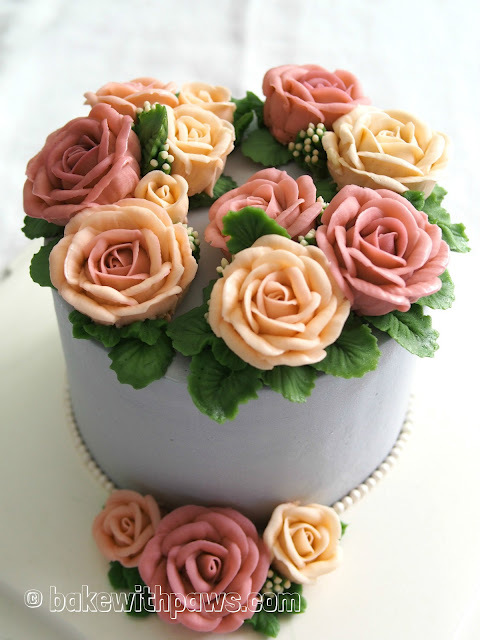 She specifically requested for a light purple cake base with pastel colours flowers. 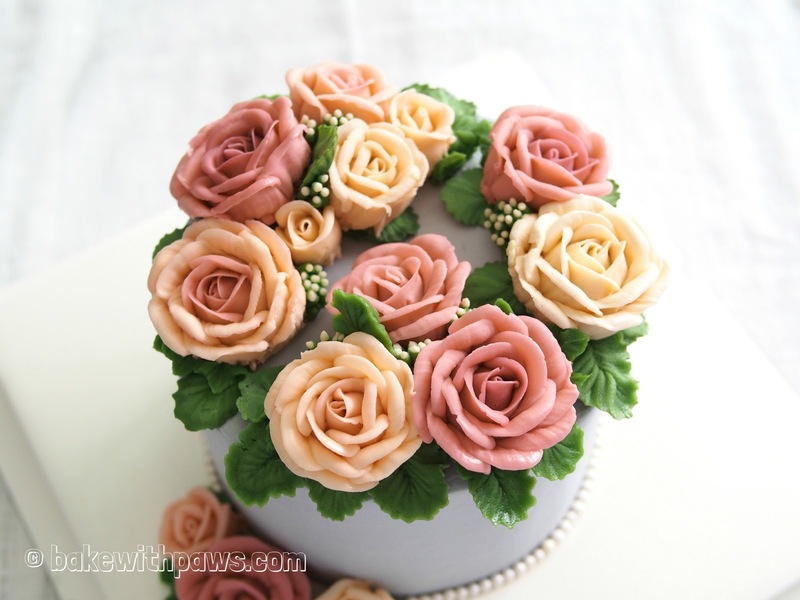 It is a 6 inch Japanese Dark Pearl Chocolate cake. There is no recipe sharing, just sharing photos of my work.